We all buy the fruits of their labor, but who are these people? Those that are so often portrayed working silently in the background as larger entities speak for them now have an outlet to speak of their own struggles, their own triumphs. As travelers, we often walk around markets in foreign countries, accruing pieces of local culture represented in handcrafted goods — brightly colored woven ponchos, charcoal sketches and oil paintings, wooden sculptures — but rarely do we take the time to get to know the creators behind the objects. This is where the VISPERA comes in. 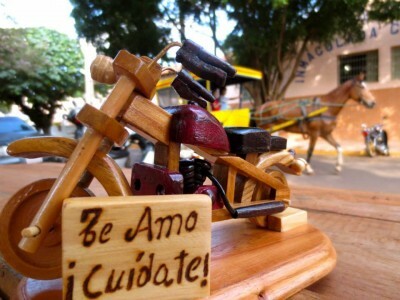 After noticing a lack of innovation in the realm of Paraguayan artisanal handicraft, or artesanía, Peace Corps volunteer Safiya Carrillo thought she might be able to help bring this skilled community out of the shadows. Carillo had been teaching entrepreneurial skills to high school students and quickly realized that this might benefit local artists and artisans as well. 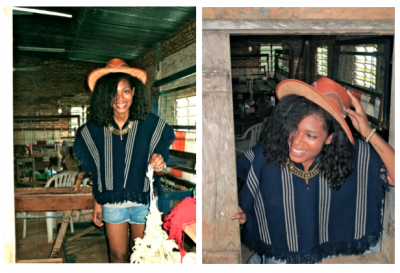 She approached fellow Peace Corps volunteer Shavon Whitehead, and together they created the VISPERA to foster creativity among the Paraguayan artisan community. Me valora que la gente entienda mi arte y que le guste y quiera llevarlo. Para mí es muy gratificante, más que el dinero inclusive. Me encanta cuando mi mamá dice “oooh eso es horrible” o “esto me da miedo” porque producir algo es bueno –producir algo en alguien… No sé si estoy tan interesado en que la gente entienda o comprenda 100% lo que yo quiero decir, pero, expreso algo. 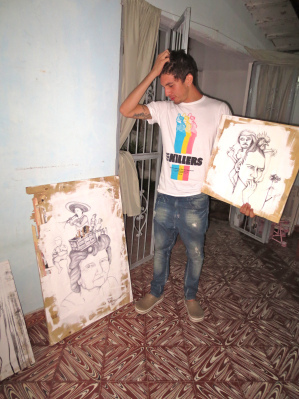 I value when people understand my art and like it and want to take it with them. For me it is very gratifying, more than money even. I love it when my mom says “oooh that is horrible” or “that scares me” because producing something is good – producing something in someone… I don't know if I am that interested in people understanding or comprehending 100% what I want to say, but I express something. Para nosotros lo ideal sería tener ventas, siempre así, para poder seguir enseñando a los chicos, verdad, para que tengan por lo menos una ayudita. No sé si en el futuro algunos se dedicarán a esto, verdad, pero por lo menos pueden decir que aprendieron artesanía. Por lo menos van a saber si van a otro lado, les van a decir que en San Miguel, se hacen esas cosas lindas. For us, the ideal thing would be to make sales, it always is, in order to be able to continue teaching the kids, truthfully, so they have a bit of help at least. I don't know if they will dedicate themselves to this in the future really, but at least they can say that they learned handicrafts. At least they will know that if they go somewhere else, they will be told that those beautiful things are made in San Miguel. The VISPERA also features museums on their website, world heritage sites, and festivals to raise awareness of these establishments and spark innovation in Paraguay. On the ground, they organise workshops, at times with the Instituto Paraguayo de Artesanía (IPA) [es], with a focus on developing solutions to help members of the community rise above poverty and become self-sufficient. There is no lack of talented artisans and, unfortunately, they are either being taken advantage of by bigger corporations or their craft is disappearing due to lack of local interest and appreciation. 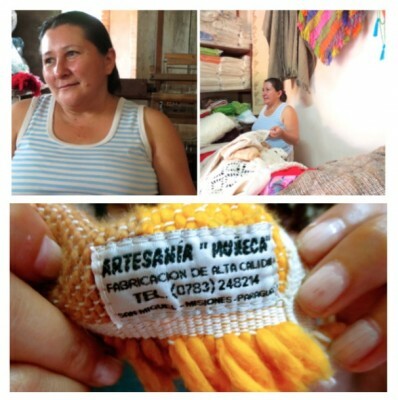 The future of the artisan, especially in Paraguay, is in peril as youth involvement in the sector decreases and the move towards mass production of globalized interpretations and designs dramatically increases. The modern artisan is in a constant battle, treading the line between the necessity of innovating and the desire to preserve their culturally rooted techniques to stay relevant in a cosmopolitan world. [T]he most touching responses have been from the artisans and artists themselves who are caught off-guard that someone would be interested enough about their craft to stop and interview them or take photos. They have become accustomed to their hard work being taken for granted or undervalued. Coming soon is an artisan manual geared specifically towards Peace Corps volunteers looking to learn more about the artisan business, as well as workshops for artisans finance, sales, product development, marketing, and social media. To learn more about the VISPERA, read interviews, and keep track of upcoming workshops, visit their website and follow them on twitter @theVispera. A note from VISPERA's organisers: the views in this article do not represent those of the Peace Corps.